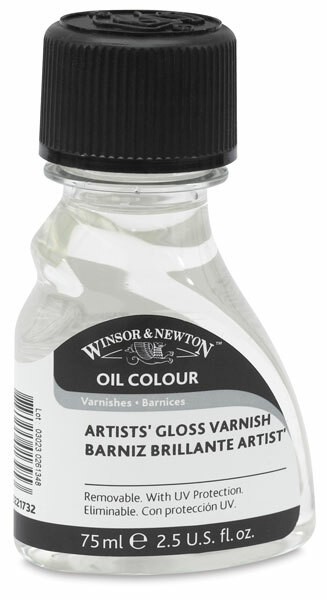 Winsor & Newton Original Artists' Varnishes provide finalized oil and alkyd paintings with superior protection against dirt, grease, and UV damage. All are removable with mineral spirits or turpentine so that paintings may be cleaned in the future. A traditional, wax-based varnish, Winsor & Newton Artists' Original Matt Varnish dries to a flat, non-glossy finish. Please note that Matt Varnish may separate in the bottle after sitting for long periods of time and must be mixed well to result in a proper matte sheen. Simply shake the bottle vigorously, let it settle until any air bubbles disperse, and then stir before applying.